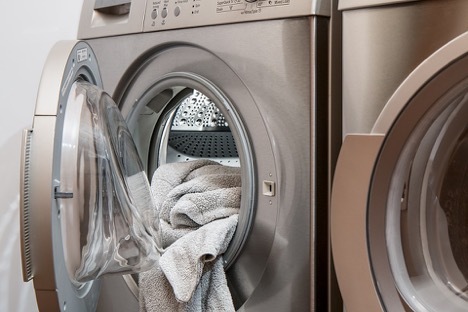 There are a lot of different factors that go into purchasing a washer and dryer, and one of the biggest decisions that you need to make is whether or not you want a side-by-side washer and dryer or if you want a stackable washer and dryer. Each has their own benefits, but we’ll cover the advantages and disadvantages specifically of going with a stackable washer/dryer. One major advantage of a stackable washer and dryer is that it saves space. Most units are either 27 inches or 24 inches in length. 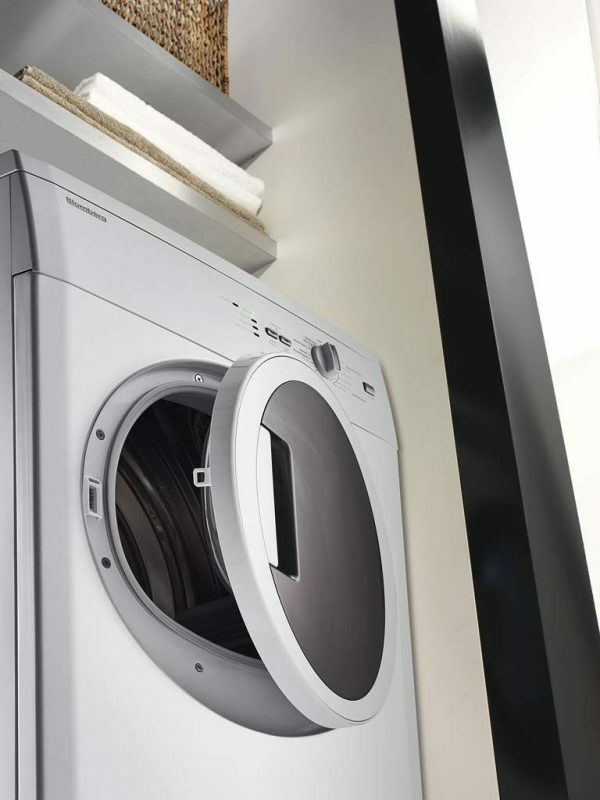 The larger size is comparable to that of a standard side-by-side washer and dryer, but you save space by going vertical. The more compact size can easily fit into a closet. While stackable appliances can save you valuable space, they may not have as many features as you might like to have. This type of appliance would have all of the basic functions but may not have some of the fancy features of the traditional side-by-side appliances. You can find energy efficient washers and dryers in both the stackable and side-by-side styles. Every model will have an energy rating number, and the lower the rating, the more efficient your appliance. Front-loading washers are also generally more energy efficient and use less water than top loaders. Just because you buy a washer and dryer as a stackable set doesn’t mean that they will have the same lifespan. You may want to consider buying piecemeal, but that means you may also need to invest in a framework that’s suitable for stacking independent machines. When you’re ready to invest in your next washer and dryer, contact Hi-Tech Appliance and speak to one of our major appliance sales experts who can guide you to the right equipment for your home. We also specialize in major appliance repair and service, so you know your appliances will be taken care of.